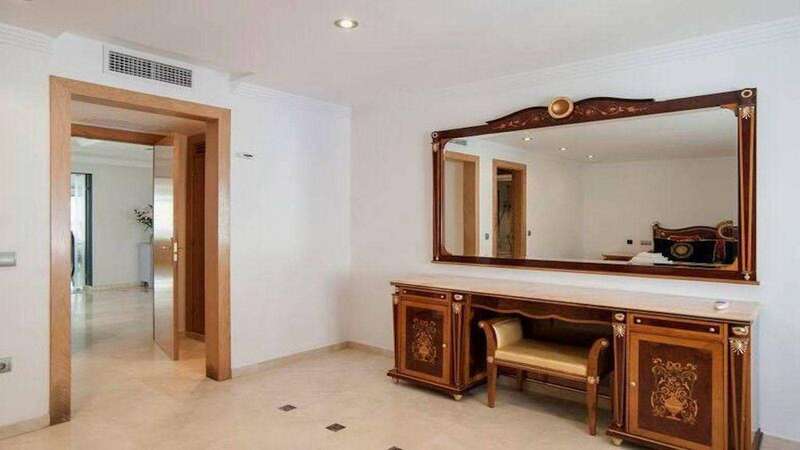 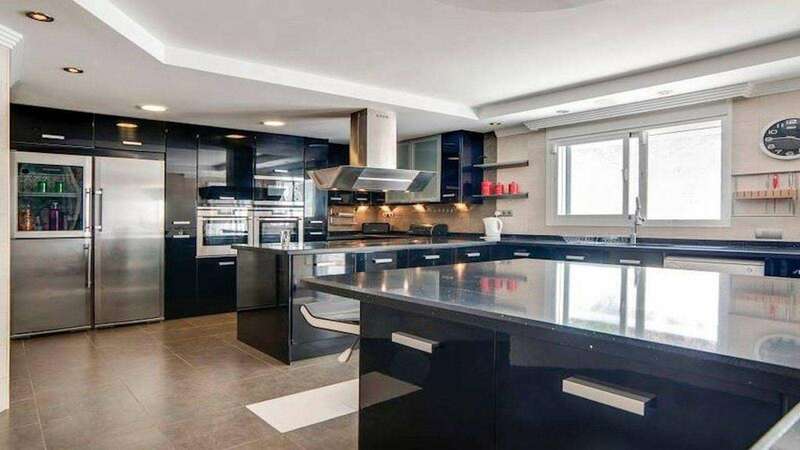 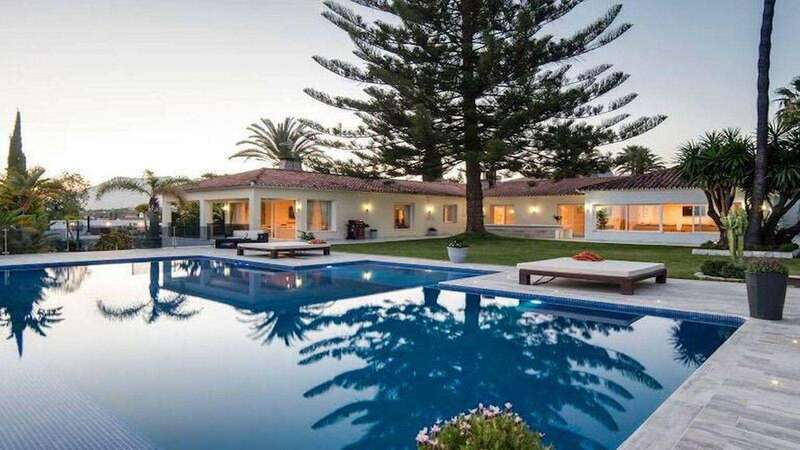 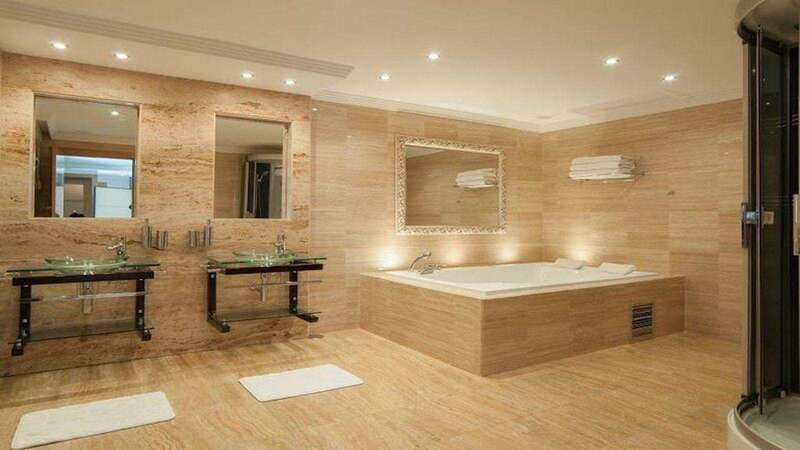 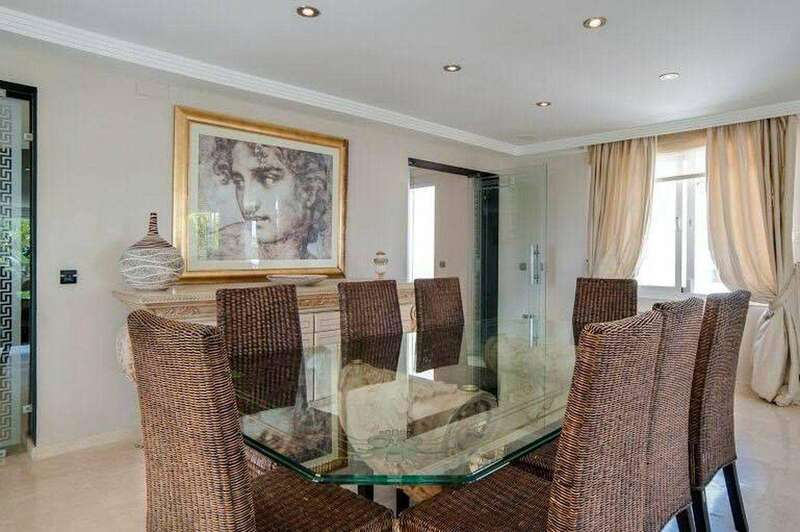 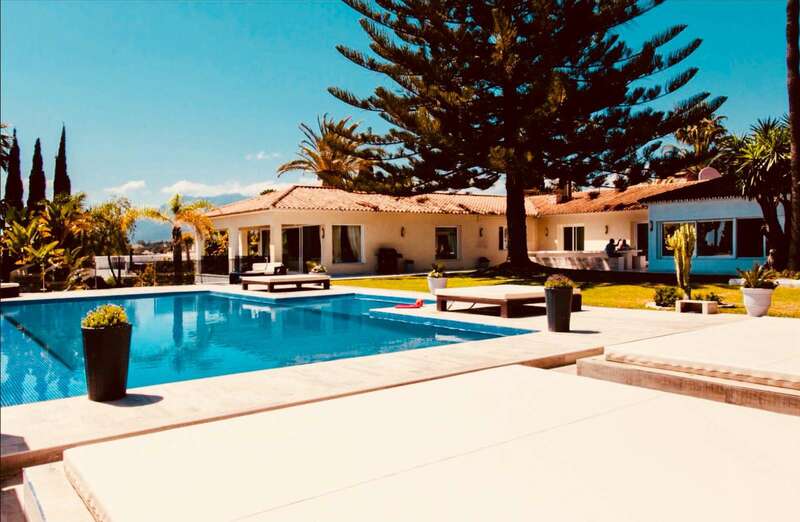 Luxury 5* rental villa set in the heart marbella with 8 bedrooms and 8 bathrooms, infinity heated pool with sea views, outdoor jaccuzzi, bar and many more is perfect for your vacations or event! 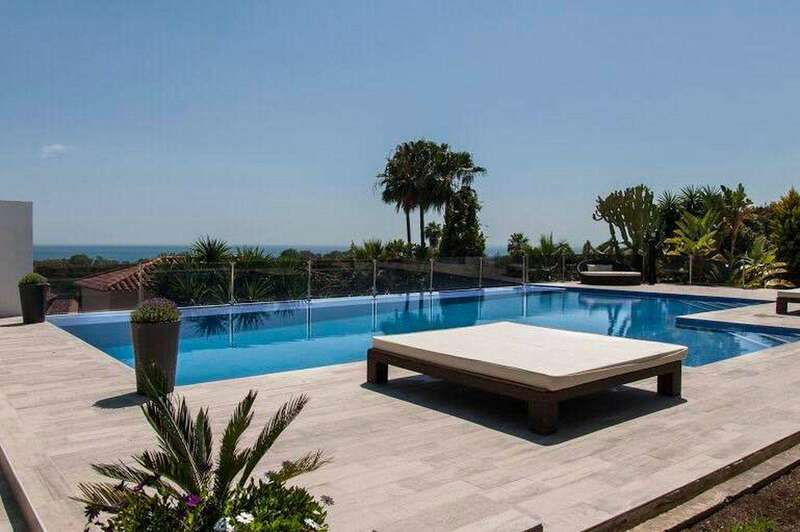 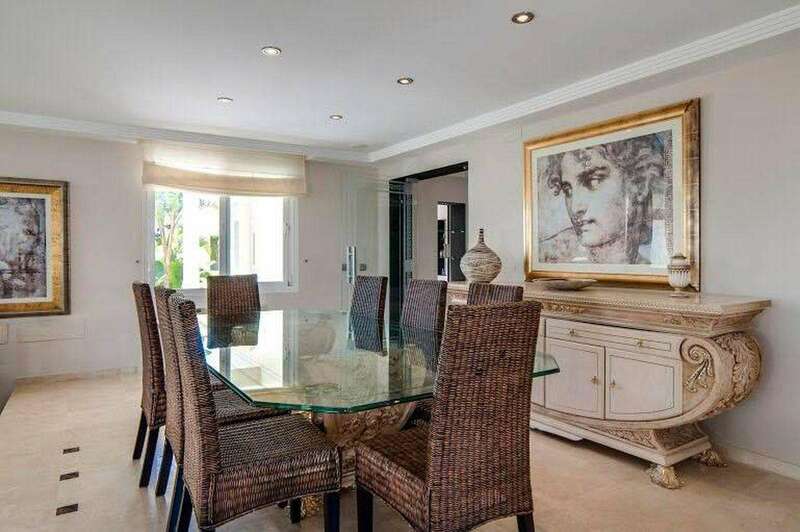 Villa Issabella is a luxury 5* rental villa set in the heart marbella in the beautiful area that is Elviria, just a short drive from the world famous Nikki Beach club, Ocean club and Puerto Banus. 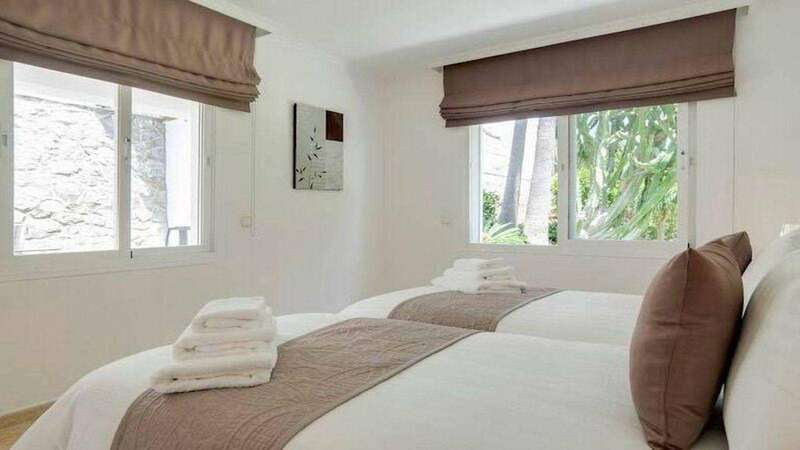 The villa is located in an exclusive area with private gardens and ground security so you are assured of the utmost privacy during your stay. 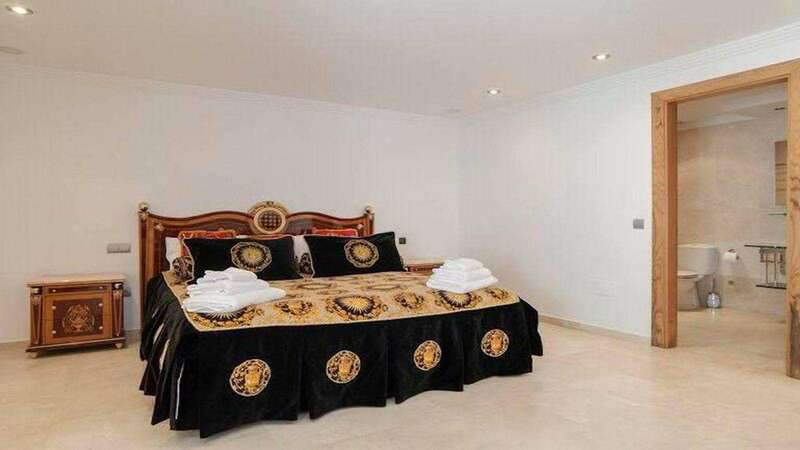 Villa Issabella is Versace themed throughout, with a modern and elegant layout. 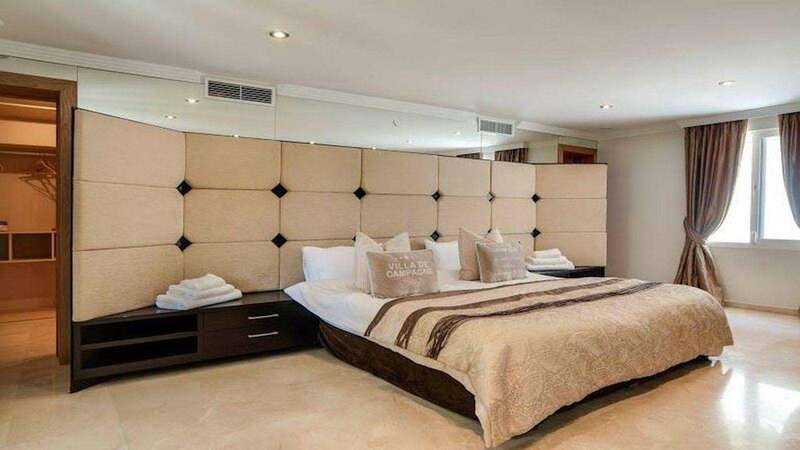 With the villa having 8 spacious bedrooms and 8 en-suite bathrooms with 2 huge living/entertainment areas, there is space for everyone! 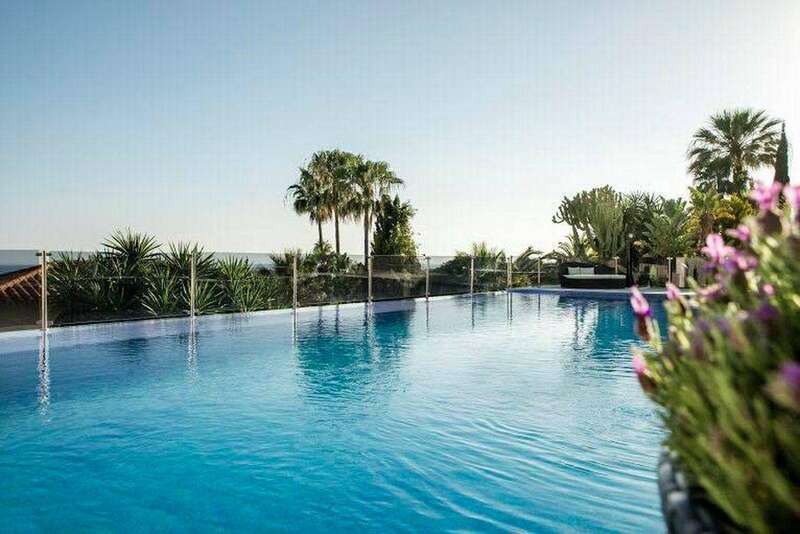 A newly built infinity pool has its own sea view. 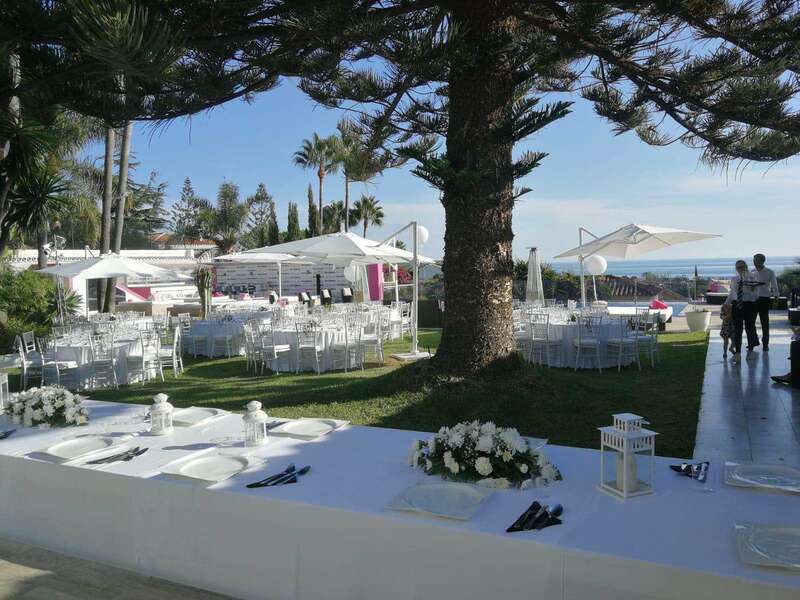 The villa caters to all occasions, whether it be a family get-a-way or a party holiday, special occasion, weddings, birthday, etc. 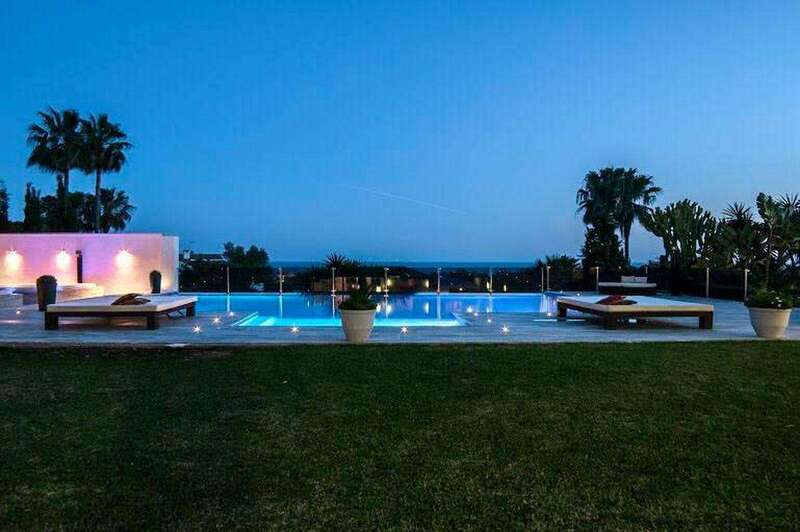 This amazing villa is built on a 3000'sq plot with stunning, panoramic views across the sea. 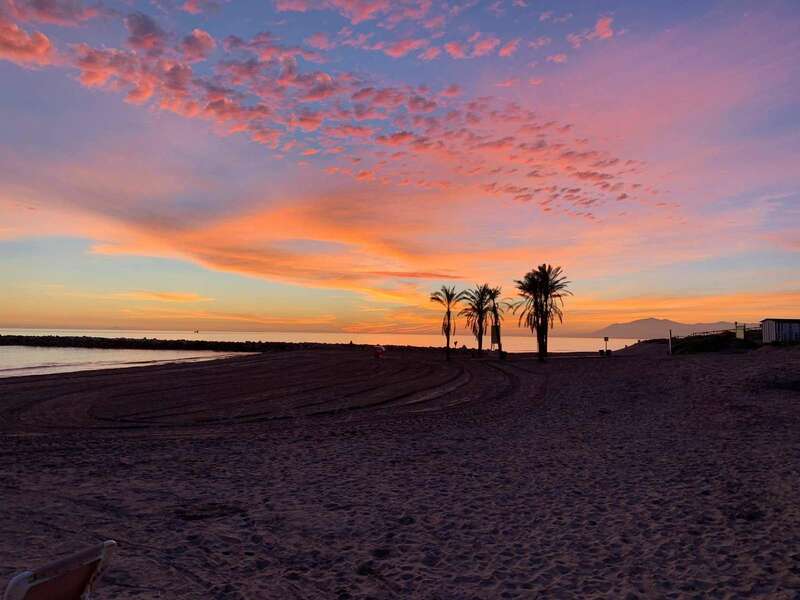 On a clear day you can even see Gibraltar and Morocco on the North African coastline! 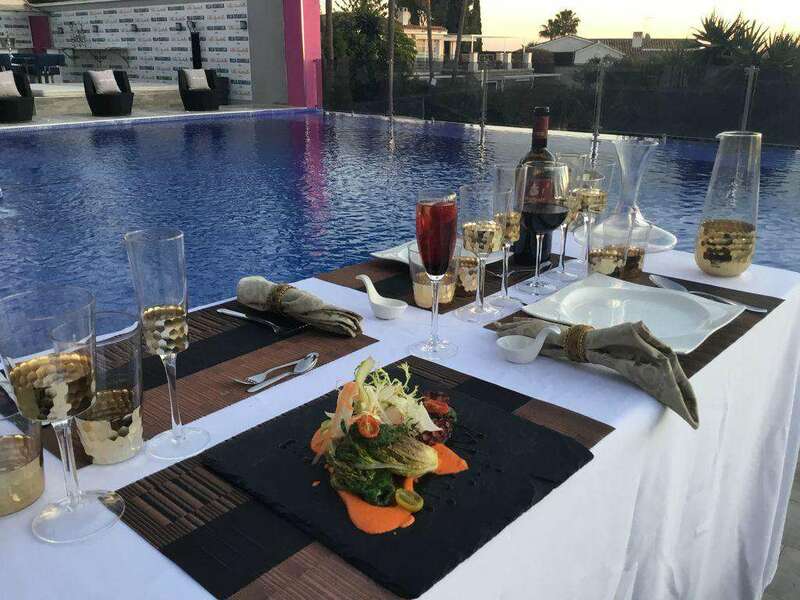 We offer fabulous facilities, including a newly installed infinity pool with a 10- seater Jacuzzi, a poolside bar, an outdoor eating area and state-of-the-art outdoor lighting. 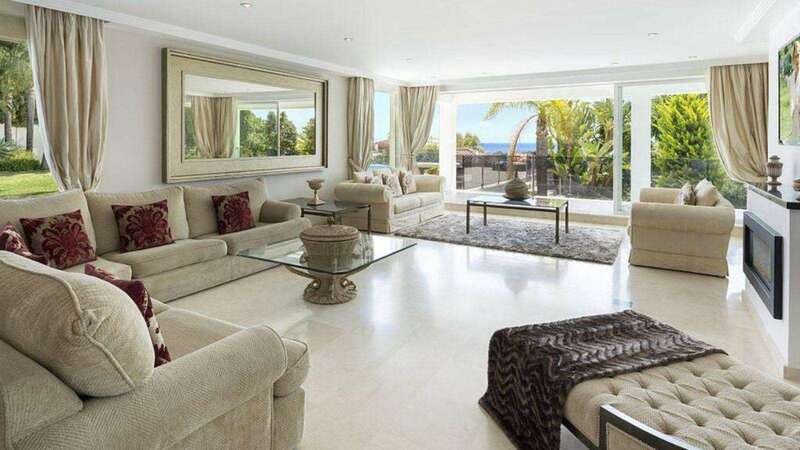 Beautiful gardens give way to a spacious sun terrace with sumptuous Bali-style beds for soaking up the sun in style. 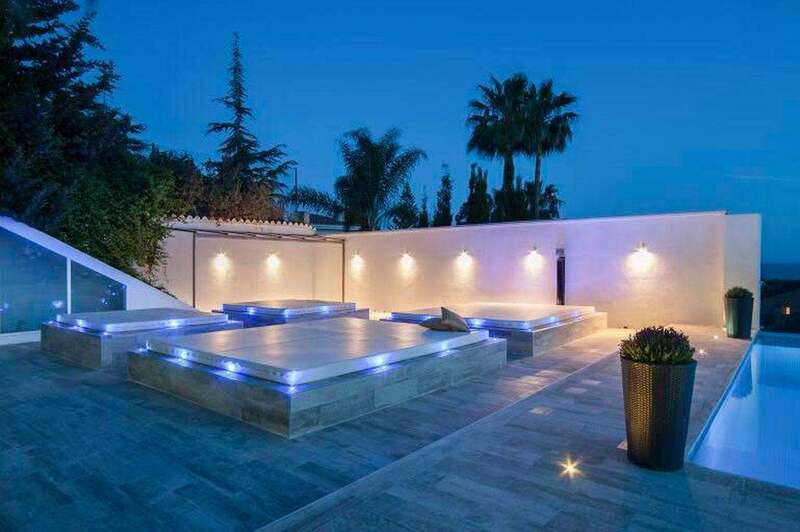 This villa is children, events and pet friendly. 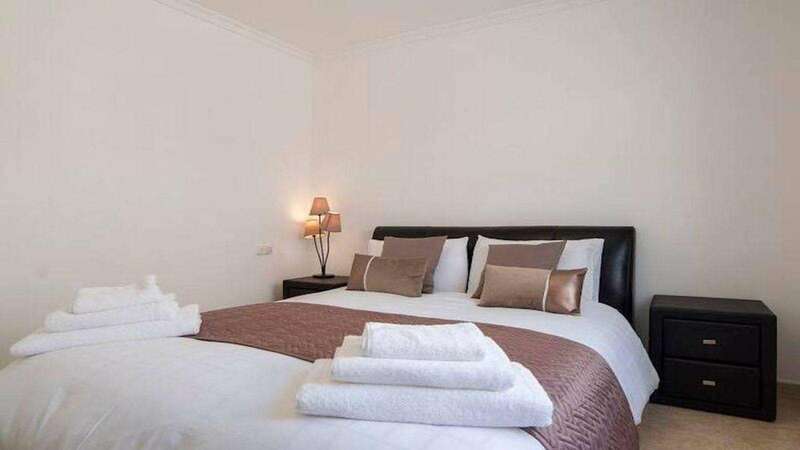 The superb master bedroom offers the most comfortable king size bed, a walk-in wardrobe and a huge en-suite bathroom with bathtub and shower, both with hydromassage system. 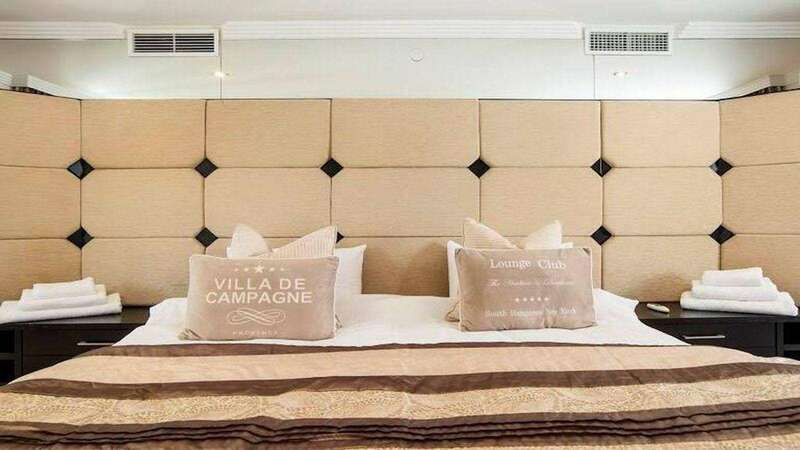 The 8 Versace-themed bedrooms (to sleep up to 15+1 guests) and luxurious bathrooms with hot tub, bath and shower boast the utmost in comfort and luxury. 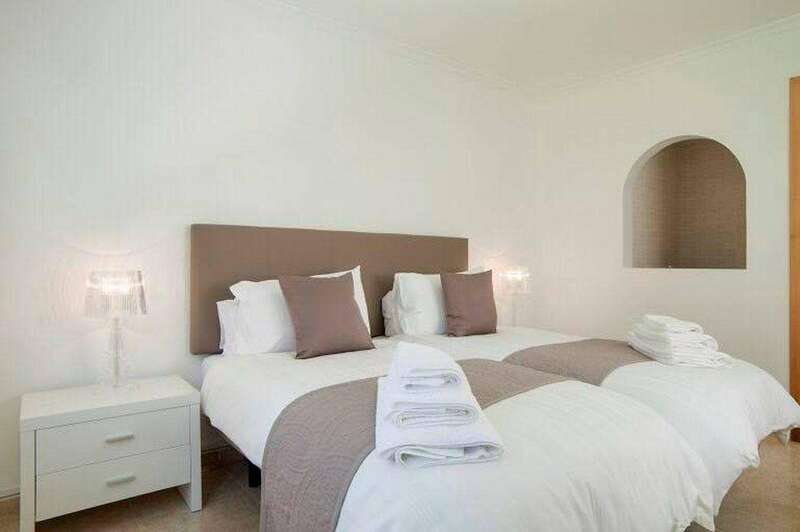 Spacious and elegant, the en-suite bedrooms were designed with indulgence in mind and provide a perfect place to recharge your batteries and relax after a hard day sunbathing or partying till dawn. 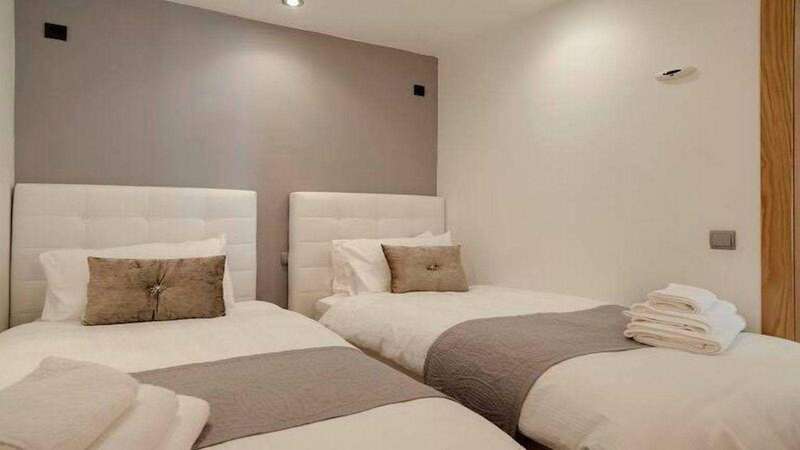 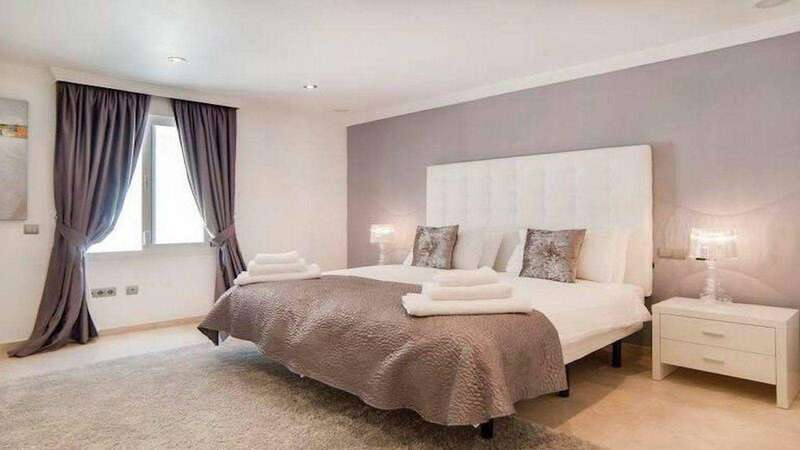 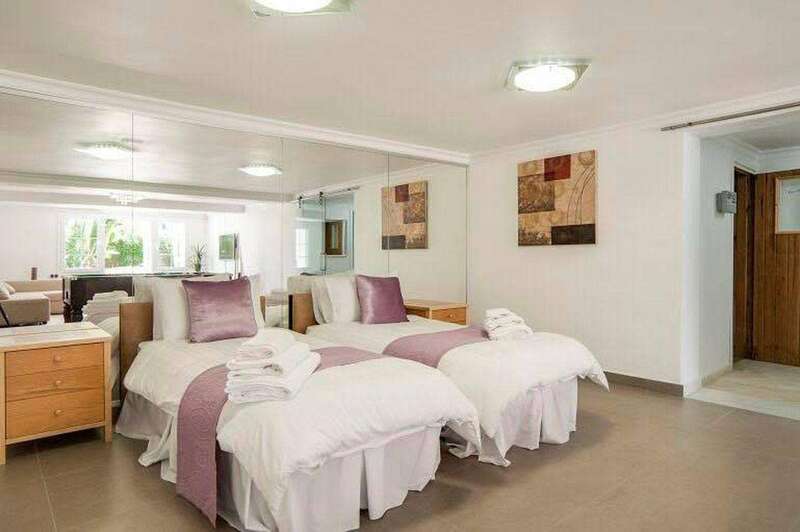 Large double beds and twin beds are situated in different rooms and children’s cots are available. 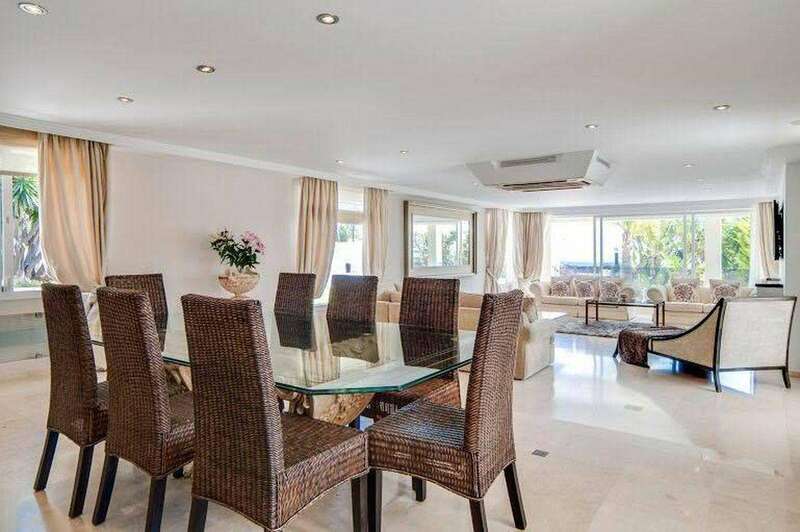 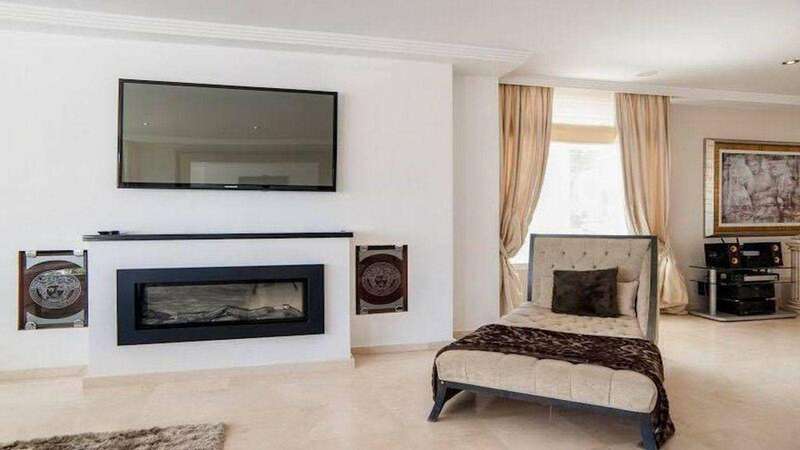 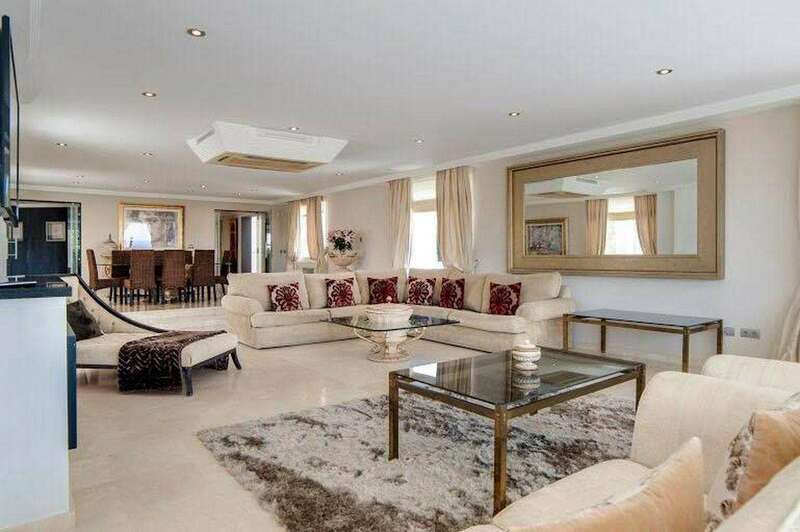 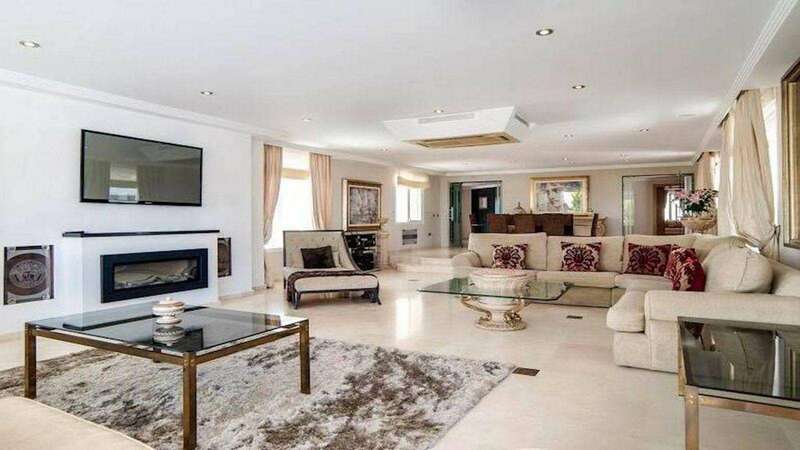 Furnished and decorated to the very highest standards, the spacious, bright and airy living space at luxury Villa Issabella Marbella gives a feeling of cool, calm and luxury with some quirky extras, including a day bed, a fireplace and a bar. 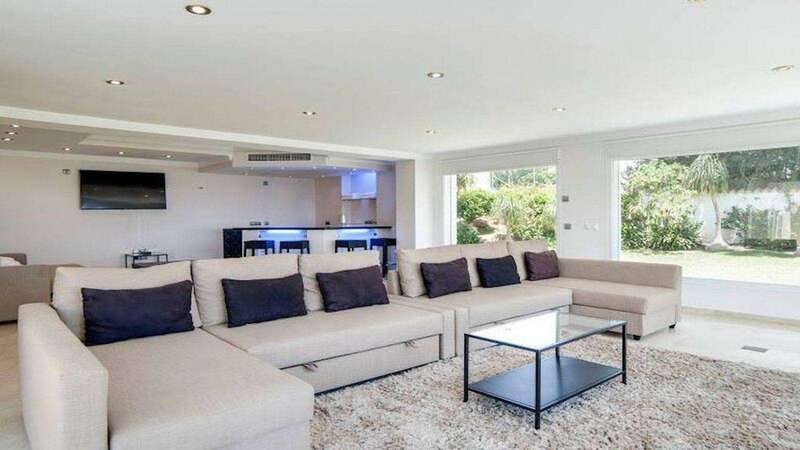 Large, comfortable sofas satellite TV make the living space a great place to ‘chill out.’ A fully equipped and state-of-the-art kitchen and dining area give you the freedom to eat at home. 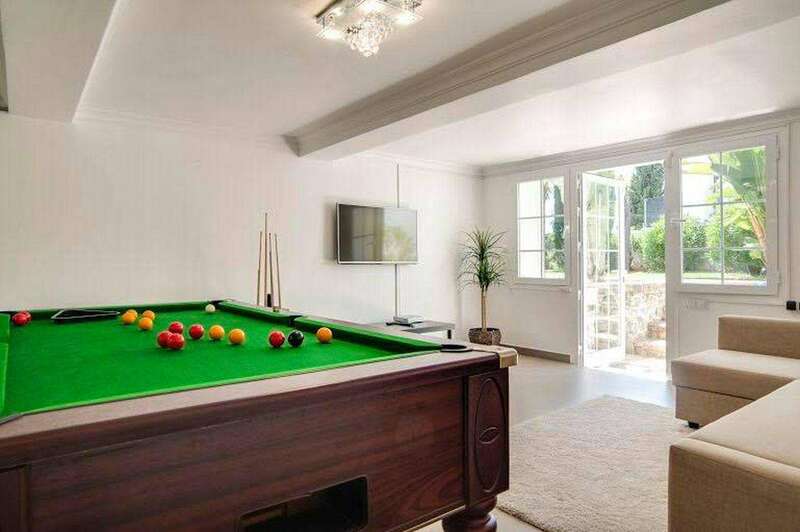 A games room with pool table and a gym are popular with all age groups. 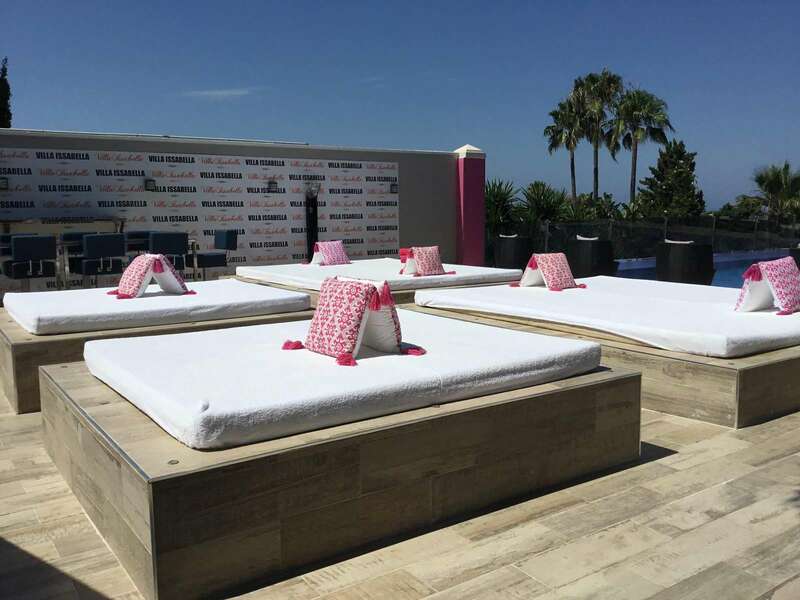 Marbella is famous for its food, its restaurants and the quality of live entertainment on offer. 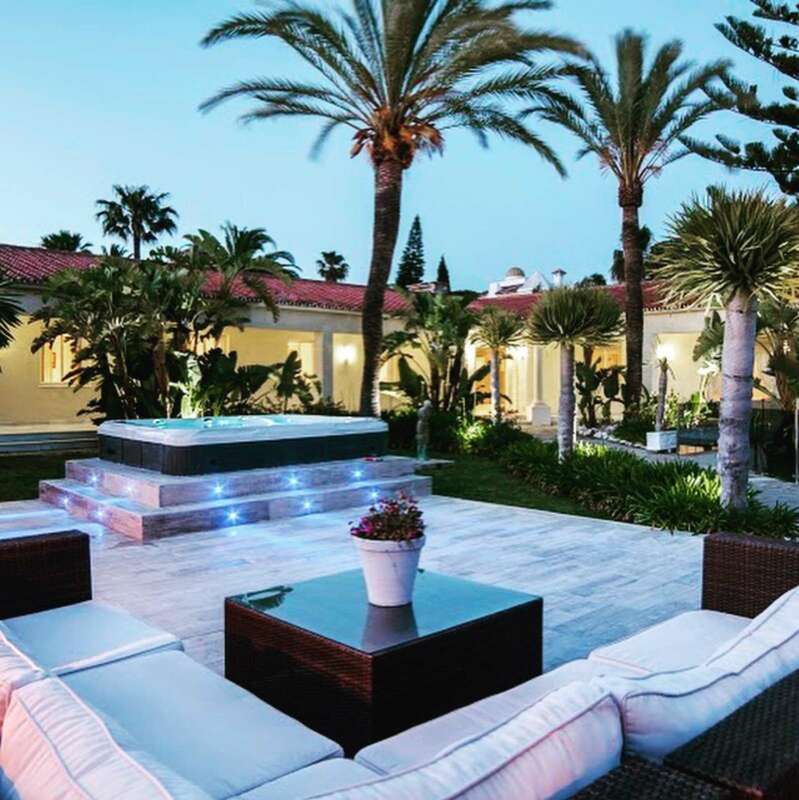 At luxury Villa Issabella Marbella, the owner can offer you the services of one of the best chefs on the coast to prepare sumptuous fine dining, casual poolside barbecues or picnics for the beach. 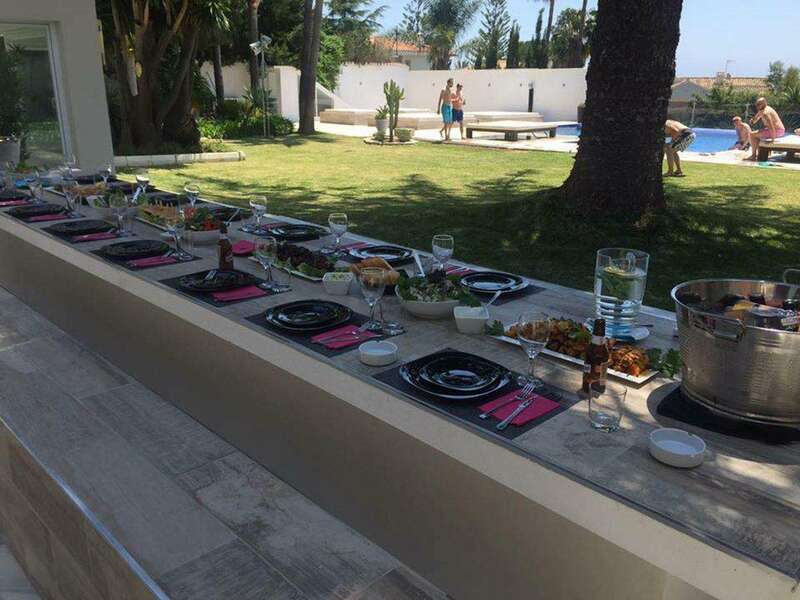 Special diets also catered for. 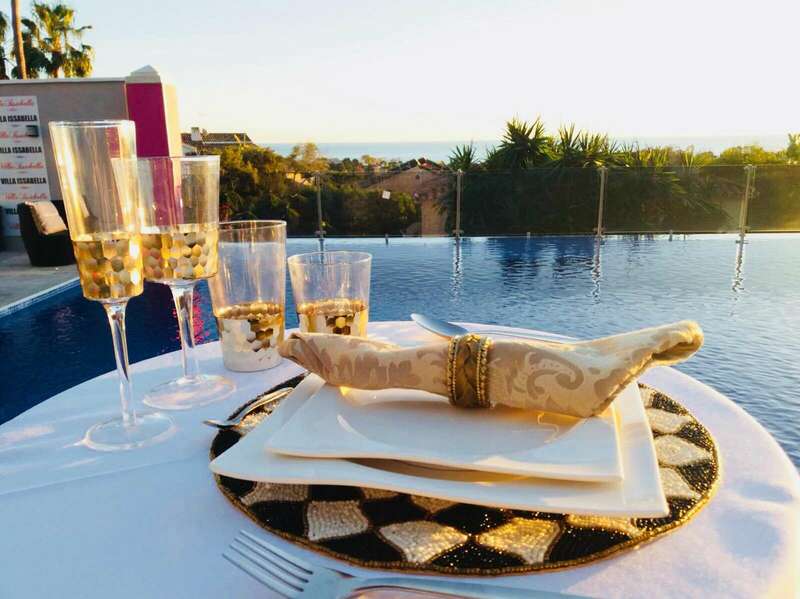 To help your celebration or special event go with a ‘bang’ the owner can hire the services of amazing live entertainers, bands, DJ’s, guitarists, singers and dancers who will bring the party to you!